Edward Hoppers paintings of loneliness in the cities and open spaces have become a symbol of American life. 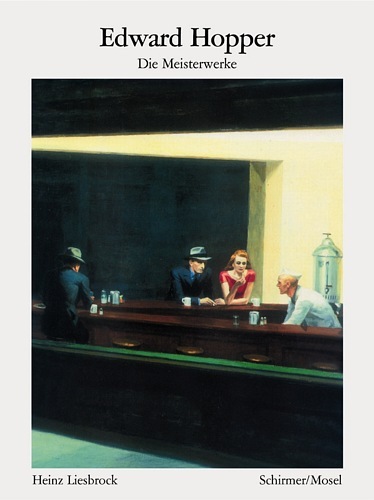 Our 1988 Hopper book with 40 master paintings. Schirmer/Mosel. With a text by Heinz Liesbrock. 120 pages, 40 colour plates, softcover, 14.4 x 19 cm. German edition.